Nonprofits of all sizes and types can experience governance intrigues. NPQ has reported on any number of these—even in the past week, where we wrote about the board split at a Bronx museum and a whole board’s resignation at a small equine farm in Bend, Oregon. It is rare in these situations to get a clear view into exactly what kind of governance leadership is being employed. Not so with the Clinton Foundation. A recent release of hacked emails has provided a window into what it takes to be brave in governance leadership in the midst of an organization with adherents used to throwing their weight around. NPQ has reported frequently over the past few years (since at least 2008) on the governance and management of the Clinton Foundation, with specific focus on the influential relationships between the foundation, Bill and Hillary Clinton personally, and the individuals, corporations, and countries who give to the foundation and its many related entities. The latest tranche of emails from Wikileaks, from former Clinton Foundation interim CEO and current Hillary Clinton campaign chairman John Podesta’s private email account, include an interesting portrait of Chelsea Clinton’s efforts to resolve potential and real conflicts of interest involving the foundation and a consulting firm, Teneo. Teneo founding partner and president, Doug Band, was a Bill Clinton White House aide before serving as Clinton Foundation “counselor” from 2002-2012, according to his LinkedIn profile. 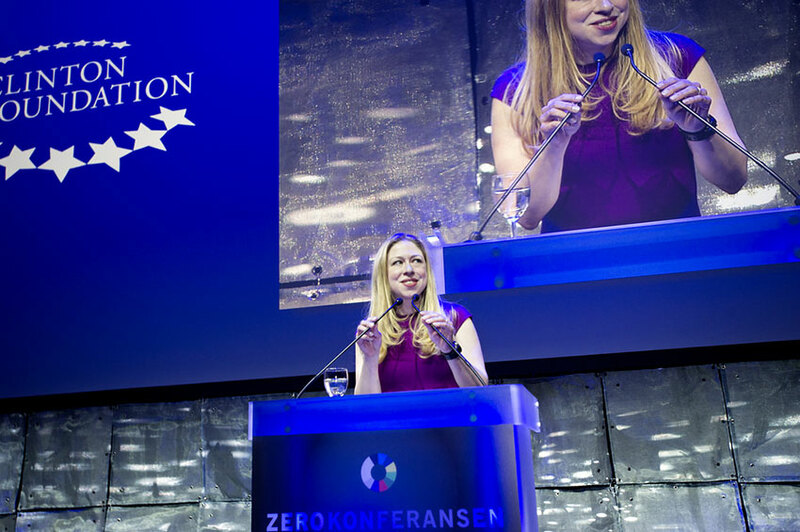 Chelsea Clinton pushed for clarity and boundaries in foundation relationships, and received significant—and sometimes very personal—pushback from Band. Ironically for the former First Daughter, some at the Clinton Foundation saw Chelsea as an outsider and interloper. Her involvement with the foundation began in 2011 as a board member of the Clinton Health Access Initiative (CHAI), a related 501(c)(3) entity to the Clinton Foundation. She pushed for management process changes at both CHAI and the Clinton Foundation, including data-driven decision-making and stronger policies on conflicts of interest and outside income. She joined the foundation with an impressive educational background as well as an employment history that included promotion to a team leader role at McKinsey and work at a venture capital group based in New York. This is the 3rd time this week where she has gone to daddy to change a decision or interject herself in the process she says is so important to maintain. I realize it is difficult to confront and reason with her but this could go to [sic] far and then we all will have a real serious set of other problems. I don’t deserve this from her and deserve a tad more respect or at least a direct dialogue for me to explain these things. She is acting like a spoiled brat kid who has nothing else to do but create issues to justify what she’s doing because she, as she has said, hasn’t found her way and has a lack of focus in her life. I realize she will be off of this soon but if it doesn’t come soon enough…. It’s not clear whether Band thought Chelsea Clinton would be “off this” meaning the conflicts of interest issues or foundation involvement more generally. Of course, neither happened. A 2014 Fast Company interview included her to-do list as she became vice chair of the Clinton Foundation. No one involved commented for Politico on the emails or their authenticity, but the lack of strongly worded denials by Podesta, Chelsea Clinton, Band, and the Foundation itself may be interpreted as implied confirmation of their accuracy. Nonprofit governance purists will note that Chelsea Clinton’s 2011 push for changes at the Clinton Foundation were awkward because she was a board member of CHAI, a different nonprofit corporation, albeit related to the Clinton Foundation. However, Doug Band’s antagonistic stance against Chelsea Clinton is somewhat problematic because Band was not a key employee of the Clinton Foundation, according to its Form 990 filings as listed on GuideStar. Additionally, Bill Clinton served as board chair for CHAI when Chelsea joined the board in 2011, so her interest could easily be sourced to professional concern about Clinton Foundation conflicts involving the use of a fellow CHAI board member’s name.